Gift with Subscription - Promotion by Time Magazine. Increasingly, magazines are using Gift With Purchase mechanism to give readers more incentive. 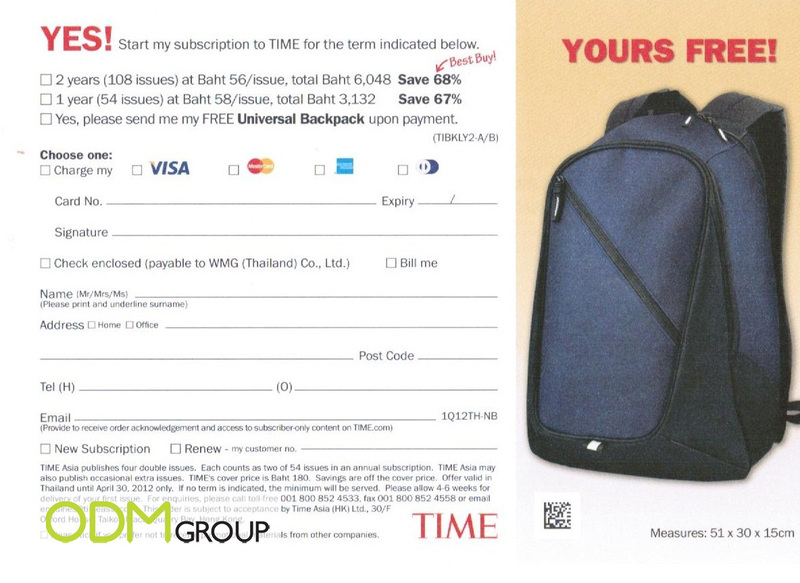 On a recent trip to Thailand we saw that Time magazine ran 3 separate Promotional Product offers if you place an order with them. What do you think of this promotional bag? See also our Covermount blog for more ideas using on-pack promotions to boost sales.